An Australian adventure without a visit to the 'Top End' is a missed opportunity. This is where you'll find the magical red desert of Uluru and the wondrous wetlands of Kadadu National Park. 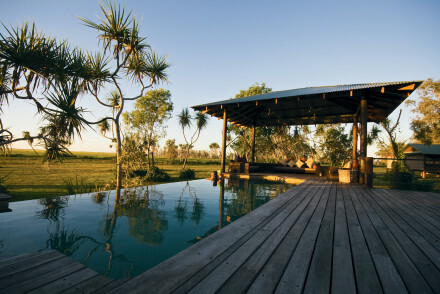 And the best places to stay in the Northern Territory rank among the most relaxing in all of Australia. Crocodile Dundee, with his broad accent, brown leathery skin, cowboy outfit and big knife is most people's first encounter with the Northern Territory and Hollywood hasn't strayed too far from the truth. The Northern Territory is a bit like the wild west in a stunning, but often unforgiving outback setting, with the added danger of some seriously deadly critters. People are eaten by crocodiles here at a rate of one every few years - unfortunately it's often tourists who don't take the warnings seriously enough and are too tempted by the beauty of the billabongs. Unfortunately you can't swim off many of the beaches, despite their beauty, because of the fear of box jellyfish but there are plenty that are safe. This was the last bit of Australia to be colonised by Europeans and is probably the best place to learn about the Aboriginal culture. Of course it's where you'll find some of Australia's most stunning landscapes, from the biologically diverse flood plains of Kakadu to the hazy escarpments and mangrove swamps in the north to the rugged, sun scorched bush of the Kimberly ranges to the red desert around Alice Springs. For around 50,000 years Alice Springs has been home to several groups of indigenous Australians and there's still a strong population with a thriving local culture. Despite being the closest town to the world's most famous rock, Alice Springs is still a four-hour drive away from the Uluru-Kata Tjuta National Park, where you'll find Uluru, and the less famous, but no less dramatic Kata Tjuta (or the Olgas). The southern edge of the Northern Territory is also where you'll find the Watarrka National Park, home to the magnificent King's Canyon with sheer 300m cliffs offering death defying views. State capital, Darwin sprawls in its tropical humidity, an extremely laid-back city. Darwin's pace of life abhors unnecessary exertions and you'll soon find yourself falling into step, or stepping inside into the air conditioning. Darwin provides plenty of space for relaxation in the pavement cafes and bars, the fantastically diverse covered markets and in the lush shady, bougainvillea and frangipani scented parks. Despite being a long way from anywhere, Darwin is a cosmopolitan city, called home by people from around 50 different countries. This adds energy to the feel of the place and Darwin has some fantastic little museums and a surprisingly exuberant arts scene. The Hotel Guru's pick of the best places to stay in the Northern Territory includes everything from luxurious hotels to the ultimate glamping experience with stunning views over Uluru. 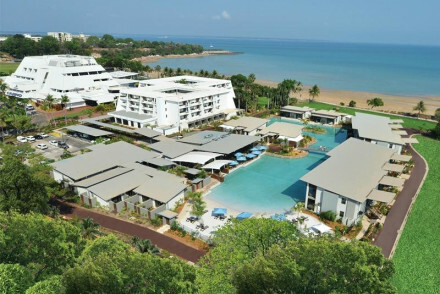 Skycity Darwin has its own beach, infinity pool and a lagoon pool, so it definitely qualifies as a resort. Luxurious rooms look out over a calm bay or the lush hotel gardens and there's a relaxed, tropical vibe in tune with the location. 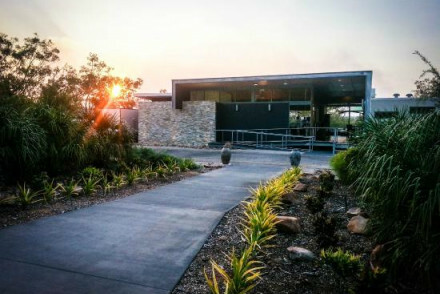 The luxurious Cicada Lodge offers spacious rooms with amazing views over the Katherine Gorge. It's perfect for those wanting to explore Australia's fauna, with indigenous guides on site for wildlife tours. If you'd prefer your own space, don't hesitate to visit our online partner Booking.com for a variety of properties across the region. Fly to Darwin International Airport, with a range of both domestic and international connections. Best time to visit - the dry season from May to October is one of the most popular times to visit the area. or the best places to stsy in Alice Springs? 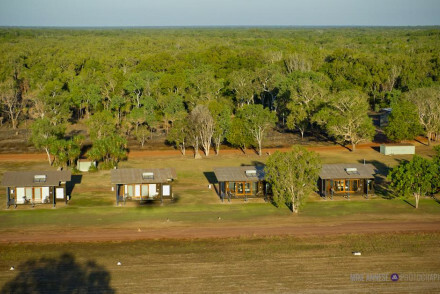 Wilderness luxury at its best with ten stand-alone cabins and fifteen safari tents offering comfort and luxury in the heart of the wildlife haven of the Mary River wetlands. Air conditioning, fresh linen and fine dining await after a day taking in the magnificent surrounding scenery and animal life. 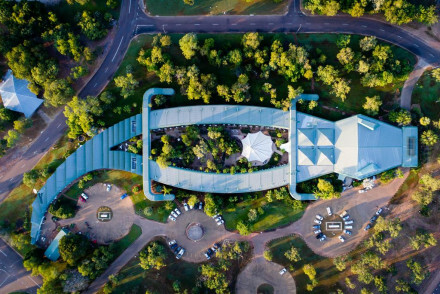 This crocodile-shaped hotel does not disappoint. Spacious, clean and cool rooms are complimented by top amenities including a a swimming pool and nearby tennis courts. A stunning location in Kakadu National Park. With its own private beach area, an infinity and lagoon pool, this is the ultimate chill out resort. Luxurious rooms look out on to the bay and the beachside garden, with the decor matching the tropical location. Luxury hotel offering spacious, air conditioned ensuite rooms and a swimming pool with magnificent views across the Katherine gorge. Original work by Australian artists hangs on walls. Take advantage of indigenous guides and wildlife tours to take in this unique landscape. Wild bush luxury comes no better than this, with nine spacious stand alone bungalows privately situated amongst the pandanus vegetation on the edge of the Mary River wetlands. Organic cotton sheets and high pressure showers ensure comfort, and the wildlife spotting opportunities are endless. 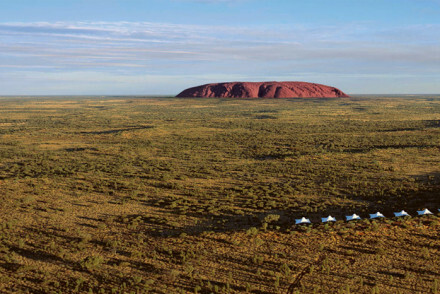 With breathtaking views out to the sacred Uluru rock, this is the ultimate glamping experience. Every need is catered for during a stay, with luxurious tents combining style, sophistication and comfort in the most glorious way. Al freso dining is a must.